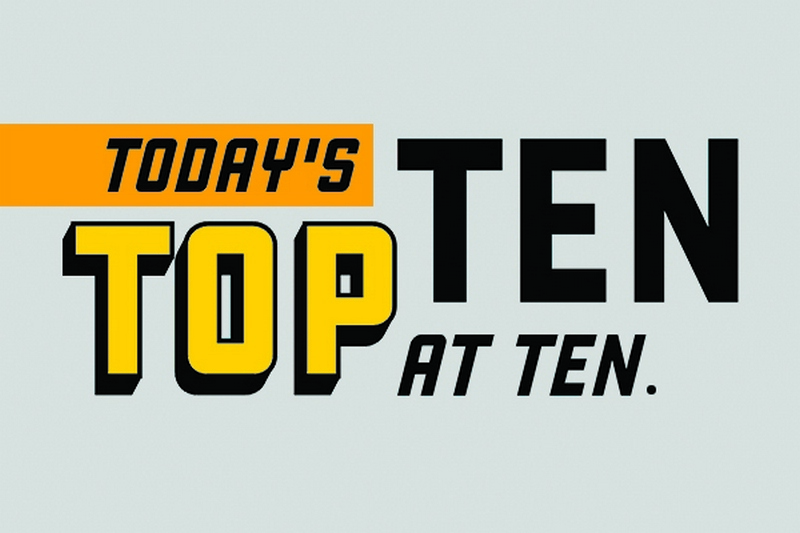 Today's Top 10 is a guest post from Tom Coupé an Associate Professor in the Economics and Finance Department at Canterbury University. The 2018 soccer World Cup is now well on its way. Rather than focusing on the soccer performances at the World Cup, this Top 10 takes a look at the World Cup’s economic and financial aspects. Research indeed has suggested that the World Cup affects the behaviour of stock traders, students and employees, diverts bank’s research divisions from forecasting stock prices to forecasting soccer matches and even brings out the worst in government officials who compete for the right to organise the World Cup. 1. How big is the World Cup’s audience? If you believe the television audience report made for FIFA, about a billion people watched the 2014 World Cup final, and more than 3 billion people watched at least 1 minute. According to this article, this makes the soccer World Cup the second biggest sport event, after the summer Olympics. While the exact numbers are obviously estimates coming with quite some uncertainty around them, it’s clear that the World Cup is big. With so many people suddenly paying attention to soccer, what do they pay less attention to? 2. Bank analysts predict soccer matches. In normal times, banks' research divisions write reports on the macro economy, stocks or bonds. When the World Cup is upcoming, however, they focus on soccer. Here is an overview of the predictions of four banks from the New York Times. That economists’ predictions aren’t always accurate has been noted before. This might also be true of their soccer predictions. The above article notes that Goldman Sachs again predicts Brazil to win, but Goldman Sachs did so for the last three World Cups and always has been proven wrong. 3. The World Cup makes stock market participants forget to trade. At the 2010 FIFA World Cup in South Africa, many soccer matches were played during stock market trading hours, providing us with a natural experiment to analyze fluctuations in investor attention. Using minute‐by‐minute trading data for fifteen international stock exchanges, we present three key findings. First, when the national team was playing, the number of trades dropped by 45%, while volumes were 55% lower. Second, market activity was influenced by match events. For instance, a goal caused an additional drop in trading activity by 5%. The magnitude of this reduction resembles what is observed during lunchtime, and as such might not be indicative for shifts in attention. However, our third finding is that the co-movement between national and global stock market returns decreased by over 20% during World Cup matches, whereas no comparable decoupling can be found during lunchtime. We conclude that stock markets were following developments on the soccer pitch rather than in the trading pit, leading to a changed price formation process. Earlier research had shown that the national team losing a soccer match leads to a negative market sentiment in the losing country, and hence to lower returns. If you would like to exploit this knowledge and build a ‘highly profitable’ investment strategy on it, check out this paper. Remember, however, that economists’ forecasts are not always reliable, as illustrated earlier. 4. More generally, people work less and might even pretend to be sick. Several studies provide estimates of how the World Cup affects employees’ time at work. The estimates suggest that salaried employees (but not hourly paid workers!) work about half an hour per week less during the World Cup (which lasts about a month). “In an interview with the French online business publication Le Journal des Entreprises, Ludovic Lefebvre, associate director of Sedao, which will project the World Cup in its Paris offices, said, “It’s a win-win: we show a little flexibility, and we get it in return without difficulty”. Around one-third of businesses in France are expected to broadcast the World Cup matches, according to a poll of more than 500 companies by the office leasing agency Locaux Bureaux. Among them is Region Jobs, an employment firm with 210 staff members in France. “We’re going on the principle that not everyone is going to be 100 percent focused on their job and their mission during the French team’s matches,” CEO David Beaurepaire told AFP. “Instead of trying to control or prevent them… we’ve left fans who want to watch the match with the responsibility to compensate for the time”. Note further that some employees pretend to be sick during major sport events; a study has estimated that 3.6% of all sick days taken during the Calgary Winter Olympic Games were due to the Games. 5. Students forget to study. This has led some to suggest that’s better not to schedule exams during periods of major sport events. 6. Good performance of the national team on the field improves individuals' perceived economic performance. During the 2006 World cup in Germany, the German national team did unexpectedly well. As a consequence, Germans who answered questions, during the World Cup, about how they perceived their own and the country’s economic situation were more positive than those who answered before the World Cup took place. “The World Cup soccer event should give Twitter Inc. (TWTR) stock a boost, says a UBS analyst upgrading its shares and anticipating a roughly 11% upside. 7. But what’s the overall Economic Impact? The above examples suggest the World Cup has several economic effects – but are these effects substantial enough to show up in the overall economic statistics? When a country competes to get the right to organise the World Cup, the promised extra revenues are huge. Ex post, however, the overall economic picture is typically less rosy because organizing a World Cup not only brings extra revenues, it also requires a lot of expenditure on infrastructure - infrastructure that after the World Cup isn’t that useful anymore (like stadiums). For the 1994 US World Cup, ex ante estimates showed a $4 billion gain, while an ex post analysis showed a $5.5 billion to 9.3 billion loss. Despite unsure economic benefits, policy makers are often convinced that organising the World Cup will have great non-monetary benefits, like improving a country’s (and its leader's) image. Reputational concerns most likely mattered for Russia too. It should not come as a surprise, however, that whether Russia is worthy of organising the World Cup is a hotly debated issue, a good summary of which can be found here. According to this webpage, if Australia wins the World Cup, each Australian player will get A$1 million. Belgian players would get €600,000, French players €500,000 and Spanish players only €125,000. That being said, negotiating these bonuses often turns out to be a lengthy process… More details on bonuses at the World Cup can be found in my paper, illustrating one more effect of the World Cup - it inspires academics to write academic papers. Expect Argentina's already brittle economy to faulter even more. There are very few large scale events that don't cost a lot more to host than they ever earn. The globally important ones -- The Olympics and the (Football) World Cup, some motor racing events -- will generate a return, but smaller events never make any money other than for a few insiders at the top: the Commonwealth games, the Rugby World Cup, etc. Then there are those completely insignificant events that are simply scams from beginning to end. New Zealand's America's Cup, for instance. Having spent almost 30 years of my 43 year career doing events i like the article's sense of direction and indeed humour. Events matter. IE: I was pretty grumpy last Sunday after watching the AB's last Saturday evening. Humph! That was a poor show right? And that's the case for a good event as opposed to a bad event. A good event can lift the spirits of everyone there and beyond, quite frankly. I'm biased I know, but you cannot beat a great event. They're uplifting. And they're important as well. We're fairly commercially focused in what we do, but you can have good events anywhere at any time. With the right people with the right ideas and the right attitude, with the right sponsors on board and a little bit of good luck/timing with the weather, there's no reason anyone can't run a good event in this country. Even a great event. Once again, they are few and far between, but they're there. You have to be in the know, that's all.